Join the irrepressible Little Fish and count from one to ten in a deep-sea delight from the creator of Maisy. First there's just one fish -- Little Fish -- under the sea. But not for long: here come two fin-fin fish, three counting fish, and four flying fish. And can you imagine who else? Shy fish and scary fish, tiny fish and funny fish. 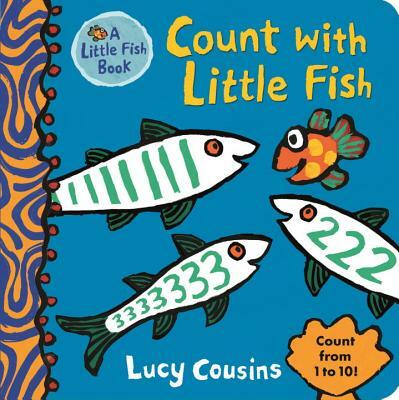 With her fantastical celebration of color and patterns, Lucy Cousins makes the counting swim right along.